Operating on the theory that there are better ways to find great iOS(s AAPL) apps than skimming the “top downloaded” lists on Apple’s App Store, Appsfire has published its first-ever alternative rankings that it says highlights the best quality apps, not just the ones with the highest download count. 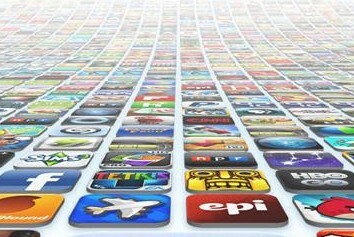 Appsfire is a social recommendation service for apps that introduced its App Scores system in May. The system uses an app’s star ratings from users, social media buzz as well as the developer’s overall reputation. The scoring system, which has been in the works for more than two years, is what informs the monthly reports that will begin with Friday’s first publication. After Apple jumpstarted the mobile app industry in 2008, finding good apps has become increasingly more difficult as the number of apps available has skyrocketed. The motivation of publishing this data is to help people get a sense of what apps others are using at specific periods of time, which is normally difficult, Ouriel Ohayon, co-founder of Appsfire, said in a phone conversation Friday. “The only moment of the year you really know what’s happening with [App Store] rankings is when Apple posts the most downloaded apps of the year. And they are only based on download activity. If the app is highly downloaded, it sometimes means the app is good,” he said. But sometimes it doesn’t. A current example: Pyramid Run is right now No. 1 on the App Store for free iPhone apps. But the user feedback is terrible: out of 3,387 user ratings there are 2,406 one-star ratings. The same phenomenon can be seen in the long-term most-downloaded apps in the App Store. Facebook’s(s FB) mobile app, for example, dominates the all-time most-downloaded charts because it’s an indispensable utility for many folks. But, as many of us know, the user experience is objectively awful, and the reviews in the App Store reflect this. 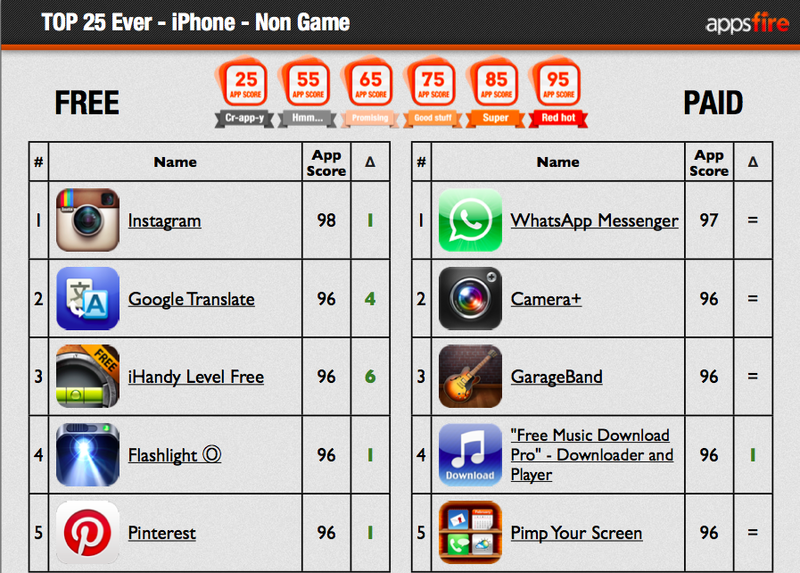 Appsfire’s rankings determined that the best free iPhone app ever is Instagram, and the best paid iPhone app of all time is WhatsApp Messenger. As of March, when Apple released its own top iPhone apps, its data shows the No. 1 free app was Facebook, while the No. 1 paid was Angry Birds (Apple doesn’t differentiate between games and non-games in its rankings the way Appsfire does). See Appsfire’s slide deck for the full list. The point of these alternative rankings is to show that there are other ways to find good quality apps beyond going by what has been heavily downloaded — which can, and has been, easily gamed. App discovery is a serious problem for all mobile app stores, but Apple has the toughest challenge because of sheer volume: there more than 650,000 apps available for iOS. And even with Apple’s lists, “starter kits,” genre highlights and editor’s picks, digging through those can be exhausting. That’s where Appsfire and other companies like it hope to be of service. For more on the app discovery conundrum, see my GigaOM Pro report (subscription required).